Fig. 1 Capital Heights (via stretch), by Eric N. Mack. 2019. Installation (Courtesy the artist; © 2019 readsreads.info; exh. Serpentine Sackler Gallery, London). Fig. 2 Transformation, by Laraaji. 2019. Installation (Courtesy the artist; © 2019 Harry Richards Photography; exh. Serpentine Sackler Gallery, London). Fig. 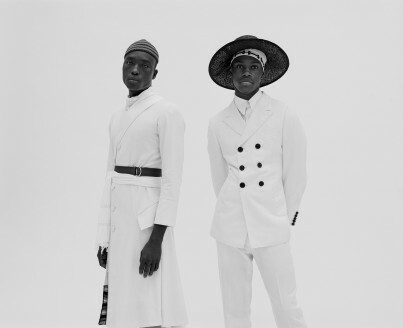 3 Shrine I, by Grace Wales Bonner. 2019. Installation (Courtesy the artist; © 2019 readsreads.info; exh. Serpentine Sackler Gallery, London). Fig. 4 From Spirituals II, Grace Wales Bonner A/W 2017. Photograph. 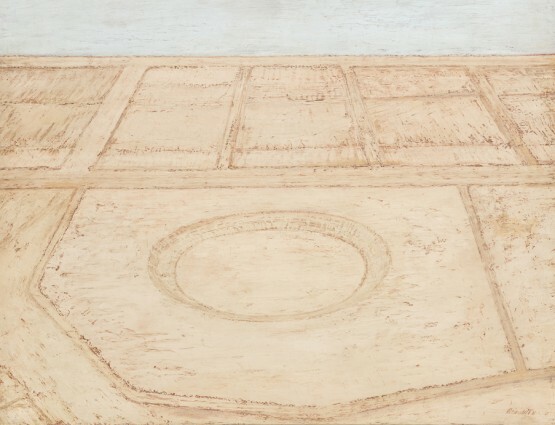 (Courtesy the artist; photograph Jamie Morgan; exh. Serpentine Sackler Gallery, London). Fig. 5 Detail of There is only one . . . one, by Liz Johnson Artur. 2019. Installation (Courtesy the artist; © 2019 readsreads.info; exh. Serpentine Sackler Gallery, London). Fig. 6 Flowers for Africa, by Kapwani Kiwanga. 2019. Installation (Courtesy the artist; © 2019 readsreads.info; exh. Serpentine Sackler Gallery, London). A Time for New Dreams, an exhibition of billowing silks, decaying flowers, devotional arrangements, intermittent sound, words – both on display and spoken – that you may or may not notice, personal possessions, delicate branches, gathered stones and more, is a project convened by the British-Jamaican fashion designer Grace Wales Bonner in the Serpentine Sackler Gallery, London. 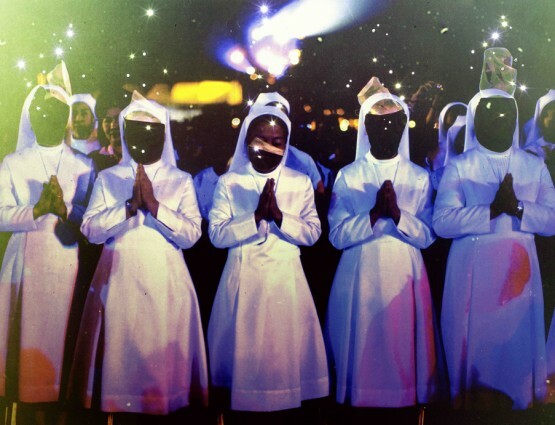 Although design is her primary creative output, the show’s curators, Claude Adjil and Joseph Constable, aptly describe Wales Bonner as a ‘cultural polymath’: her ongoing and deep research into identity, spirituality and selfhood has also generated photography, film, music and text, often as a result of committed collaboration. The exhibition takes the figure of the shrine as both its organising principle and its wellspring of meaning. 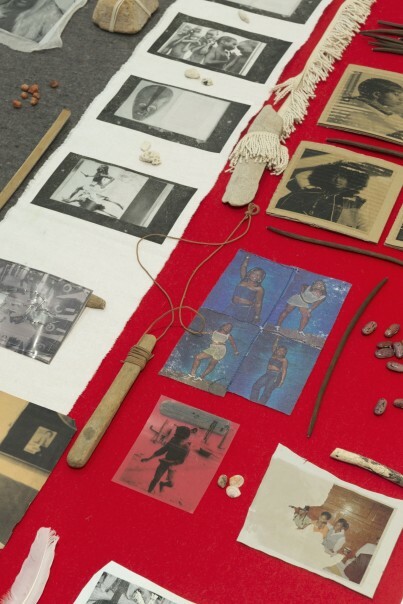 Work by sixteen artists or collectives, including Black Audio Film Collective, Rotimi Fani-Kayode, David Hammons, Liz Johnson Artur, Rashid Johnson, Eric N. Mack, Laraaji, Paul Mpagi Sepuya and Wales Bonner herself, has been installed with what might be described as a rhythmic quality. The works create a series of devotional encounters for the visitor that are at once bodily, sensorial, intellectual and spiritual. 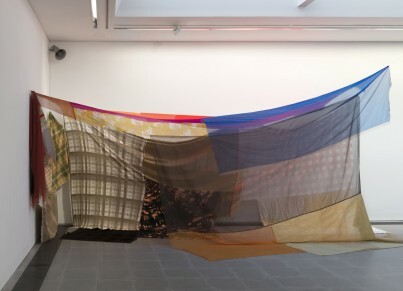 Wales Bonner suggests, for example, that by entering the canopied space of Eric N. Mack’s large-scale, hanging textile work, Capital Heights (via stretch) FIG. 1, one might become more aware of one’s own body. 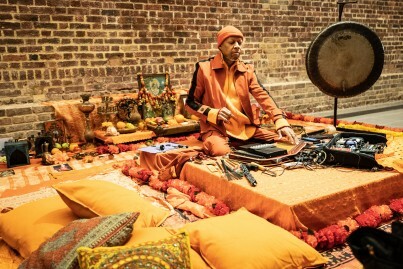 Elsewhere, the communal experience of laughter and gong meditation with the musician Laraaji invites spiritual reflection FIG. 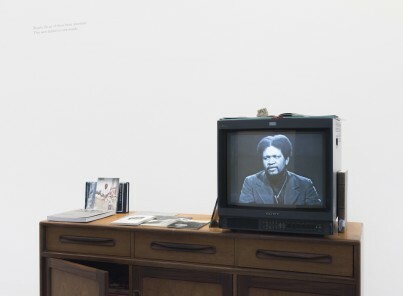 2, and the video featuring the Afro-Futurist author Ishmael Reed that is part of Wales Bonner’s work Shrine I FIG. 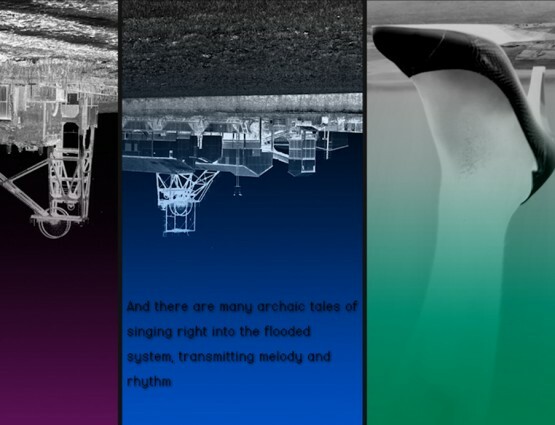 3 delivers poetry and fact related to place and identity. With reference to the American historian Robert Farris Thompson’s suggestion that African-Atlantic altars are: ‘sites of ritual communication with heaven, ancestors and spirits, marking the boundary between the ordinary world and the world of the spirits’,1 Wales Bonner conceives of the shrine as a portal to imagined worlds, especially those that inhere in Black cultural and aesthetic practices. The exhibition’s emphasis on the agency of spiritual practice is alluded to by a series of invocations commissioned from the Nigerian poet Ben Okri, which have been applied in vinyl directly to the gallery wall. Just near the entrance, his opening lines suggest: ‘Everything here is kind of true. / The true magic is the magic of you’. Okri's words signal the value that Wales Bonner ascribes to literature and writing as a fecund practice in which Black intellectualism is linked with spirituality. Her exhibition foregrounds the figure of the writer as oracle, performing a role as distributor, too: the gallery shop offers publications by Okri, Reed and the Jamaican-born cultural theorist Stuart Hall, among others. In fact, the beauty of the shop and the parity of the clothing from Wales Bonner’s collections FIG. 4 with the books on offer is important: unlike the artist-designer duo Atelier E.B, whose fashion-oriented exhibition preceded A Time for New Dreams, Wales Bonner is from a generation who have acknowledged, from the outset, the enmeshed state of commerce and creativity that defines the twenty-first century. Transformation recurs in A Time for New Dreams, whether natural or at the hand of the artist: David Hammons’s Rock Head (2019) is a head-sized stone partially covered with hair collected from the floors of black barbershops; Liz Johnson Artur’s floor- and wall-based arrangement of photographs and objects, There is only one…one FIG. 5, is altered by the artist throughout the course of the exhibition; while Kapwani Kiwanga’s Flowers for Africa FIG. 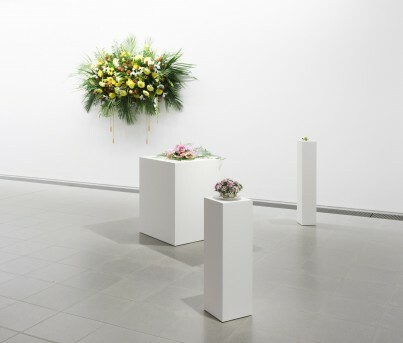 6, floral arrangements recreated from archival photographs of historic moments in African independence, are put together for each exhibition by local florists based on Kiwanga’s written instructions. The flowers were fresh and bright when the exhibition opened, but are wilting and fading as its run continues. Sound and movement is introduced rhythmically to the space, as the voices of Okri and the DJ James Massiah can be heard on a loudspeaker mounted on the ceiling of the gallery, and the dancer Michael-John Harper will perform at intervals in the last days the exhibition. The bringing together of disparate materials, and the visible effects of time on certain works in the exhibition, point to one of the core principles of Wales Bonner’s methodology: that research across varying temporalities and geographies invokes a cultural hybridity that, in turn, suggests new possibilities for the future. A Time for New Dreams, which takes its name from a collection of essays by Okri, is transcendent in its call for the poet's ‘a thousand forms of art and living’, but also does important art-historical work, evincing the shared intentions of a group of contemporary artists that Wales Bonner describes as a ‘brotherhood’, as well as the connection of this group to the generation that preceded it. This is an anti-autonomy world, in which the identity and expression of the individual can take shape only in relation to others. That the ‘new dreams’ of this exhibition’s title might spring from the specific nature of this relation: imbued with magic, ritual and ceremony, is yet for us to see. Lucy Kumara Moore is a writer and director of Claire de Rouen, London. R.F. Thompson: Face of the Gods: Art and Altars of Africa and the African Americas, New York 1993.